There is much more to Versailles’ estate than “only” the castle and gardens. There are actually 3 castles: the main castle, Le Grand Trianon and Le Petit Trianon! I don’t pretend to be an expert, but let me share with you my conclusions after spending seven hours touring Versailles’ estate with Olivier. Prepare your trip: look at the different areas, decide what you want to visit and which “passports” (ticket options) is best for you. Note that the admission is free for children under 18 throughout the Versailles’ estate. 2 – In Versailles, You Will Walk a Lot! Versailles’ estate is just… huge!! You may rent a small battery car (For about 30 Euros per hour…) or take a little train through the estate (about 7 Euros), or park wisely as I suggested above, but chances are you’ll be walking a lot. The Grand Trianon and Marie Antoinette estate are at the very right of the map… quite a hike! The official map they give you when you buy your ticket says “a 25 minute walk” from the main castle. In reality, it’s closer to a 45 minute of a fast paced walk. We timed it. And we walk fast. To give you a better idea, I took a picture “in context”. In the picture below, I am standing at the bottom of the map, just behind the main castle, point labelled “2” on the big map above, facing the Grand Canal. In my picture below, you can hardly see the start of the Grand Canal on the horizons. I am standing at the very bottom of the map I’m holding, just behind the inversed U shape castle in blue. Took me 45 minutes fast walk to get to the area where my right hand is. So be warned. Visiting the whole estate in one day is… well in my opinion absurde. Better choose one part that you really want to see, and enjoy your time there. Located at the far right side of the estate and opened in 2006, “Le Domaine de Marie-Antoinette”(the queen’s estate) reveals Marie-Antoinette’s private life. Louis XVI’s wife loved this place where she could play “pretend” with her children and best friends, live a simple rural like life, away from the pomp of Versailles. No one could go there without an invitation from the queen. You will discover there a beautiful castle, “le Petit Trianon” and its gardens, and at the end of it “Snow-White” like little houses, and even a charming little farm with animals and crops: my absolute favorite place of the whole estate. The architecture of the different buildings is just amazing! I absolutely love this place, and it is much less crowded than the main castle and still absolutely gorgeous. It’s of course a great place to go to if you are traveling with kids. If I had to pick one place to go in Versailles’ estate, this area would be it. For sure. I’ve seen other amazing castles in France, but I’ve never seen anything like this little village. The best thing: you can drive there, and buy your ticket at that entrance directly. There will be some crowd at the peak of the season, but nothing like the castle’s main entrance. 4 – How To Get to Versailles Castle and Estate? Getting to Versailles is a bit of a pain if you are not driving since it adds A LOT of walking time to and from the train/RER. Driving to Versailles is in my opinion the best option: you can drive to the Trianon and Queen’s estate area directly if you enter by “la Porte St Antoine” (Boulevard St Antoine, see picture below) – then it is not a lot of walking, and children of all ages will love it. Actually, driving through the different gates is a really good idea; it will cost you 6 Euros, and you can drive and park in the different parkings of the estate all day long. Beware that the main parking “Place des Armes”, just in front of the main castle, is an hourly based parking – so more expensive – and then you’ll have to hike through the estate if you want to visit the different areas. If you do park inside the estate, make sure you know when the gate you went through closes – there are different closing times! Ask the attendant to make sure, take a picture of the sign so you won’t forget where you are parked and when it closes!! I don’t have special tips to give to people coming with the train or RER: the way to the castle is clearly marked: just wear really comfy shoes (the street of Versailles are paved, so it’s even harder on your feet), and book a massage in the evening!! Again here, doing a bit of research ahead of time is essential. I strongly recommend you buy your tickets online (it is a bit more expensive though, but will save you standing in line time, which is priceless…). 6 – Warning: There Are Two Kinds of “Grandes Eaux” in Versailles’ Castle! There are many shows to see in the main Castle’s gardens, in particular water shows. Could they make it more confusing?? “Les grandes eaux musicales” is when all the fountains are switched on. This happens on Saturdays and Sundays and some Tuesdays from April to October from 11 AM to noon. and 3.30 to 5 PM (double check on the site to make sure). “Les grandes eaux nocturnes” is a special water, sounds and light show (as far as I understood – I did not see it myself but I heard it was amazing) taking place on Saturday evenings mid June till the end of August from 9 to 11.20 PM. You need a special ticket for it. Check out the official site. About the main castle… it is huge and gets uber crowded. I would never imagine visiting the main castle in the peak of touristic season. This picture of “la Galerie des Glaces” is a myth. I don’t think any tourist has ever seen it empty. We went in April: we were there early, at the opening of the castle, with tickets, and were among the first ones to get in. And it was still crowded (but manageable and enjoyable). If you do come in June or July, make sure you come with tickets, at opening time and you will maybe beat the tourists tours… Otherwise, be ready to stay in line for 2 or 3 hours. No kidding about the waiting time. Now, there is a lot to see inside the castle, but most tourists are interested in “la Galerie des Glaces” and “les Appartements du Roi”, which show you the lifestyle of the king with all furnished and decorated rooms. However, the marked tour actually took us through MANY “Louvres style” galleries that were not all that interesting to us: huge halls full of paintings and statues, beautiful as they may be, were not what we were there for. We were stuck following the tour, we couldn’t do anything else but walk through them, and it was exhausting. There ought to be a “faster” tour, shortcuts through the castle to go directly to “La Galerie des Glaces” – next time, I’ll ask one of the castle’s crew. Maybe it was just a question of looking at the signs and not just following the crowd, but after a while, we were so tired, we just went into “sheep” mode… If you know about a shortcut, do share it with me and I’ll gladly add it to this post! Voilà, I hope these tips will be useful for your next trip to Versailles. 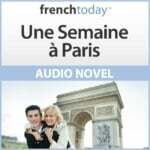 If you like this post, you may also enjoy my article on how to dress in Paris, or 10 things to avoid in Paris, and my bilingual audio novel about a young couple taking a trip to Paris: “Une Semaine à Paris“.